8 months. It’s taken 8 months to get another Blind Leading the Blind post out. Luckily, this time around, Chasing Ale was the one on the ball, pushing to get everything done. 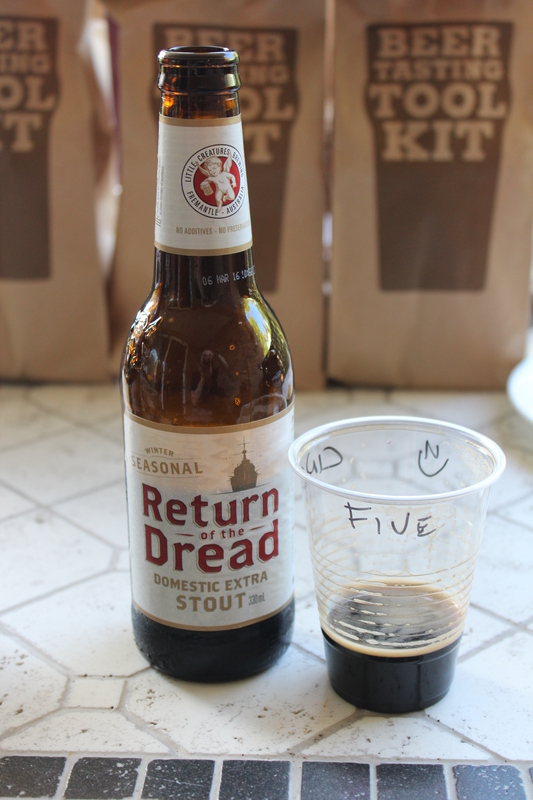 This stout tasting was meant to be something for winter, as drinkers tend to gravitate more to the darker, richer styles during the colder months. It may be spring, bordering on summer, at the moment, but hey, at least we got it out. The term ‘stout’ was originally used to describer porters that were higher in alcohol or “more stout’. Since coming into it’s own, it’s spawned a variety of sub-classes, such as milk, dry, and imperial (my personal favourite). We didn’t discriminate this time with regards to specific style, other than it couldn’t be an imperial. If this is the first time you’re reading a “Blind Leading the Blind”, the concept is simple. I buy 5 beers for Nick to taste, and he buys 5 for me. 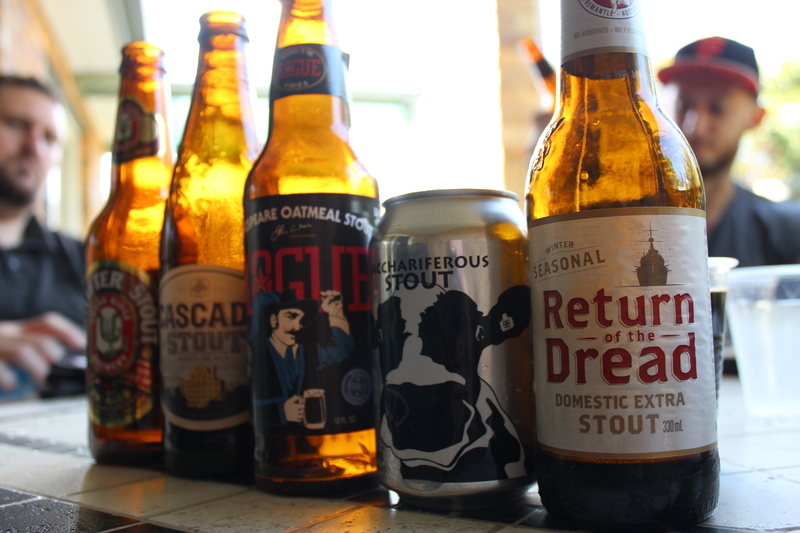 1 of those 5 is decided upon beforehand as the standard and control beer, with this month’s standard being “Little Creatures – Return of the Dread”. Additionally, 1 of those beers are meant to be from a brewery that is perceived by the community as ‘crafty’ or just out-and-out awful. The remaining 3 are completely up to the purchaser. At first glance, it’s dark. Really though, they’re all going to be dark. That’s the nature of the beast. The light skiff of head on the top produces a coffee colour that disappears quickly. I’m alright with this, since to my knowledge, stouts should be a bit less carbonated anyway. My first whiff brought on hints of dark chocolate, but what I really noticed was what Nick and I came to call “that stout smell”. Maybe it’s the acridity of the roasted malts, maybe it’s the lower hop content, but I can’t quite put my finger on the smell that seems to accompany most stouts. That ‘stout smell’ translates into the taste as well. 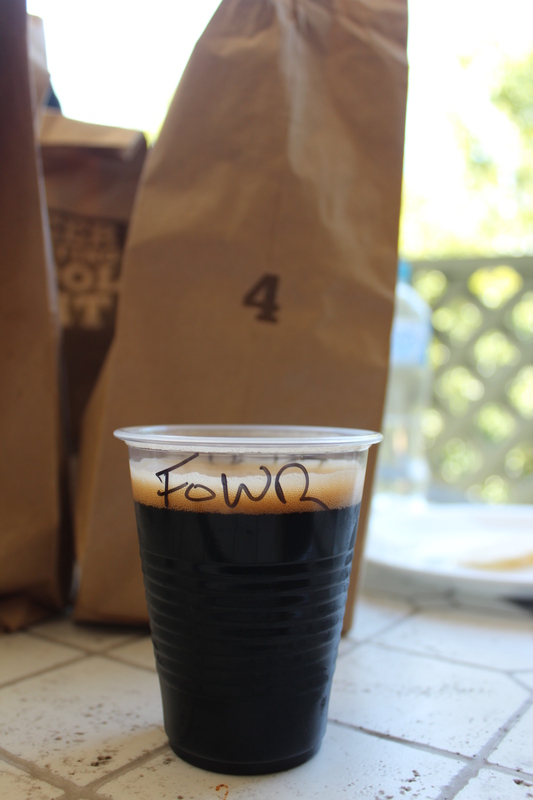 There was a bit of acridity on the back end with this one with a bit of a roast coffee flavour. As a whole, it wasn’t too thing, and it wasn’t too rich. After a bit of time and warmth, the complexity opened up and a fruity profile emerged, giving the beer a Cherry Ripe quality to it. had a lighter, cream coloured head, that had a mild bit of retention. The first sip brought a single word to my tasting notes: “Atrocious”. 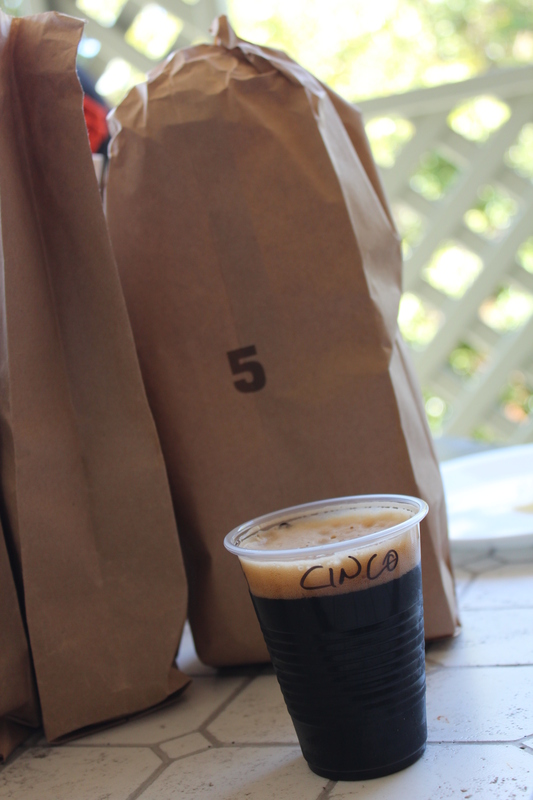 The hop profile, which is meant more as an accent in a stout, was way too forward in this one. I wasn’t even sure if I was drinking a stout. Had Nick slipped me a Black IPA? Is this a trick? Certainly, it can’t be an actual stout. Even a bit of warmth helped it not; soy sauce was the prevailing flavour over time. Beer 3 has some froth! It had a rich, coffee coloured head that dissipated fairly quickly. The stouty, roasted grain scent belied the strong flavour. An acrid, almost burnt taste sat on the tongue, making you wonder if you were drinking beer or sipping a cold-press espresso. Hints of vanilla came through as the beer rose in temperature. The viscosity was on point for me, having just the right amount of thickness to be enjoyable, but not so much that it required a spoon for consumption. By this point in the tasting, I may have been starting to tire out. The only notes I have on the look of Beer 4 was that it looked the same as the rest. On first smell, I thought I could smell cardboard as well. 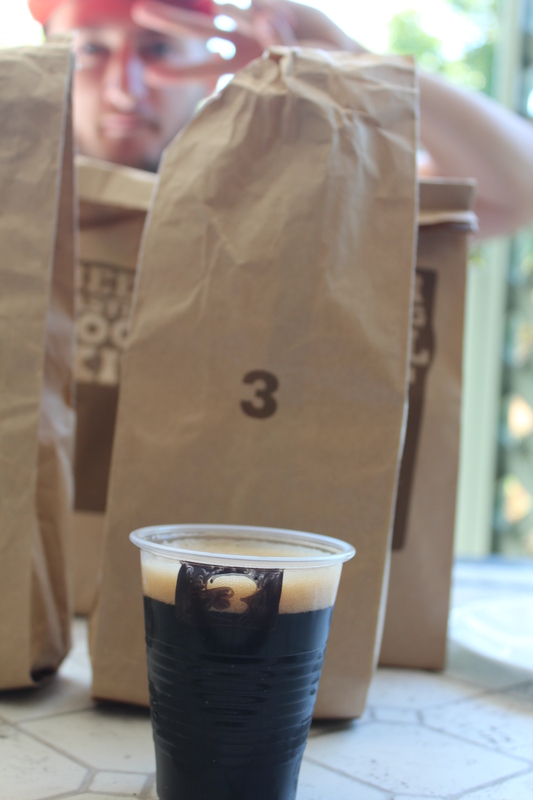 Maybe my senses were dulling a bit, but I could only get minute traces of that stout-specific aroma peeking through. After the smell, the flavour wasn’t much of a surprise. The whole thing tasted and felt thin and weak. Notot unlike the child from Oliver, I found myself wanting more. There was a bit of sweetness that lingered, but not enough to make a huge impression. Beer 5 had the best head and retention of the tasting, which provided for some nice lacing on some otherwise cheap looking cups. The smell of spices was what first greeted me. 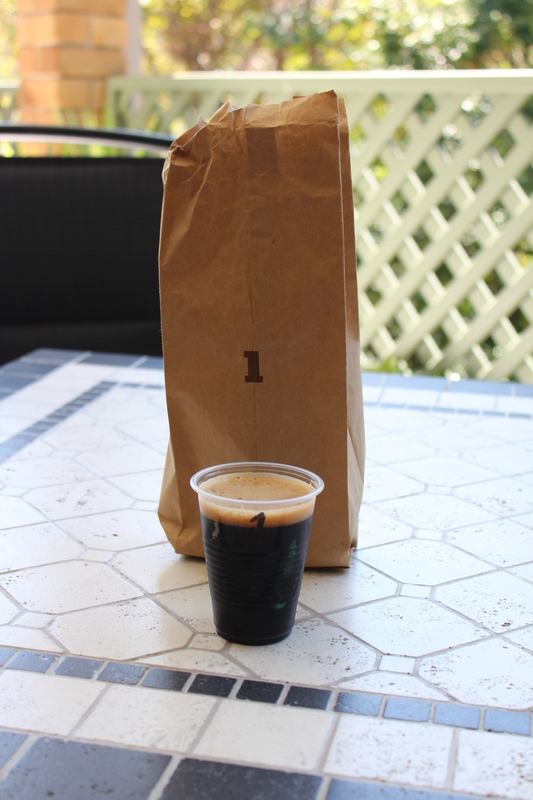 The stout smell was there, but it was intermingled with the fragrance that emanates from my pantry. This gives way to a slightly astringent beer that basically says “hey. I’m here. I’m big. Deal with it”, all on a backdrop of tasty mocha. Well, it looks like I have myself a tie! As per our rules, in the event of a tie, both beers are revisited with the favoured beer getting an extra half point. The other loses a half point. I remember trying the Grand Ridge line and enjoying their Scotch Ale, but that was many moons ago and I was still fresh to this thing called “craft”. The Hatlifter did anything but, and I had to do something I rarely do, which is give away a beer. Thanks to Roger from RPMbeer for taking one for the team and preventing this from being dumped down the sink. Cascade made the “crafty” entry for my tasting. The brewery, owned by giant SABMiller (soon to be ABInBevSabMiller… say that 3 times fast), puts out a few varieties of beer, with the stout being fairly lackluster. I didn’t hate it, but I wouldn’t go out of my way to ever find it again. 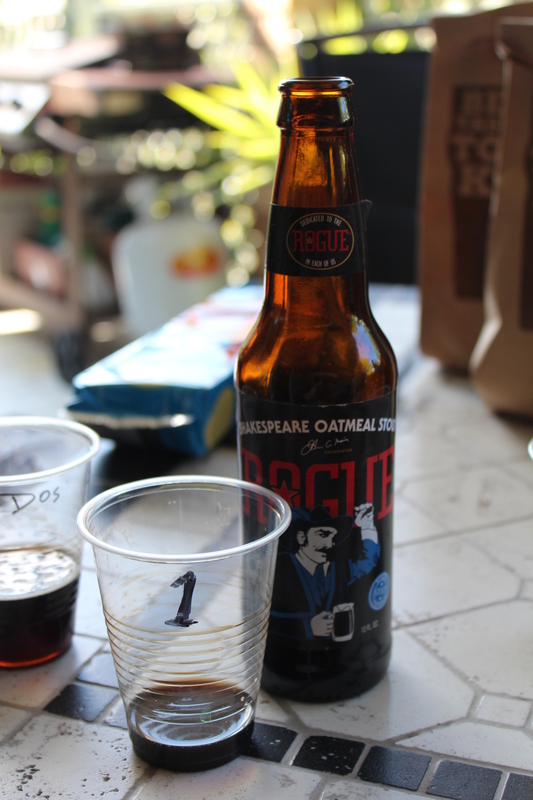 Rogue Shakespeare tied for second place with the MP beer. 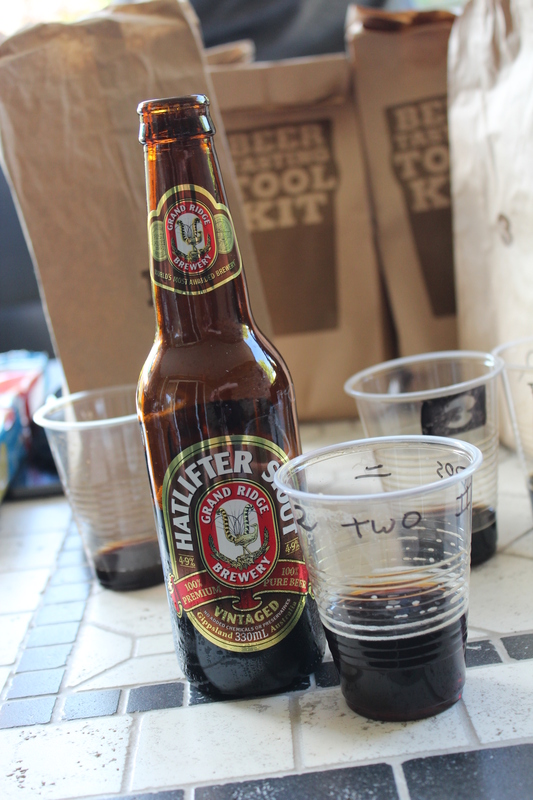 The secondary tasting brought a flatness in flavour, but an increase in chocolate aroma. Sadly, aroma wasn’t enough to give it the edge and it lost the half point. I’m almost willing to take away points for the name. I can’t say it without slowly pronouncing it out like a 4 year old with a “See Spot Run” book. 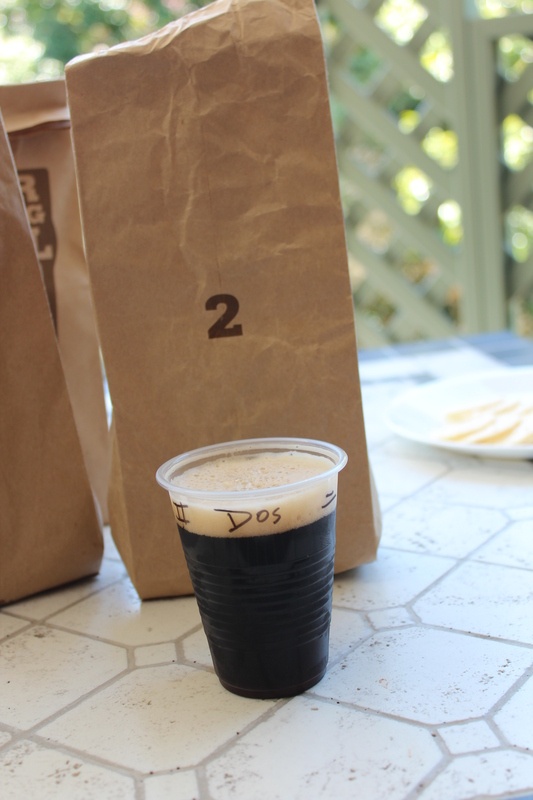 Names aren’t whats being judged, however, and the extra sweetness that is typical in a milk stout gave for a much more flavoursome experience than the Rogue. 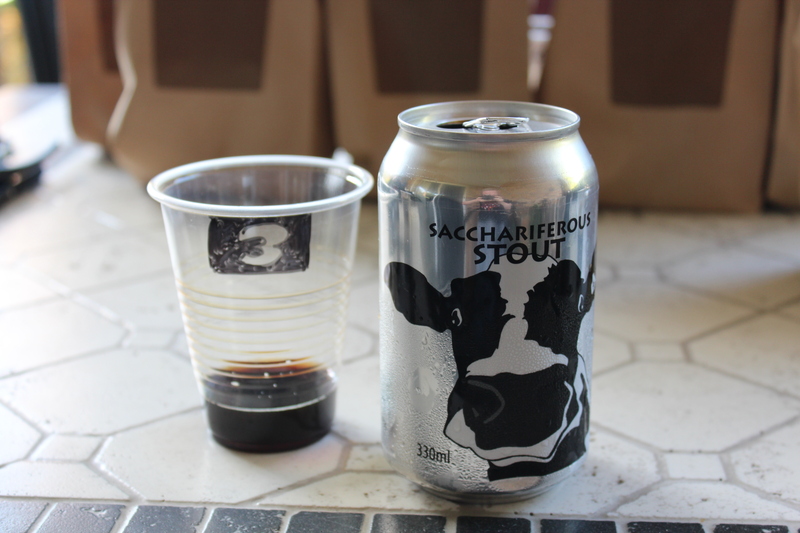 And how cute is that cow on the can! The beer chosen as the standard ended up setting the bar a bit too high for the others to compete. LC gets a lot of flack from beer snobs about their ownership, but they keep putting out great seasonal releases like this, and in my humble/not-so-important opinion, that keeps them well within being “craft”. The first thing I noticed when searching for a dud beer to put into Nick’s range (see which one I chose for him at www.chasingale.com) was the lack of stout in the any of the big breweries range. 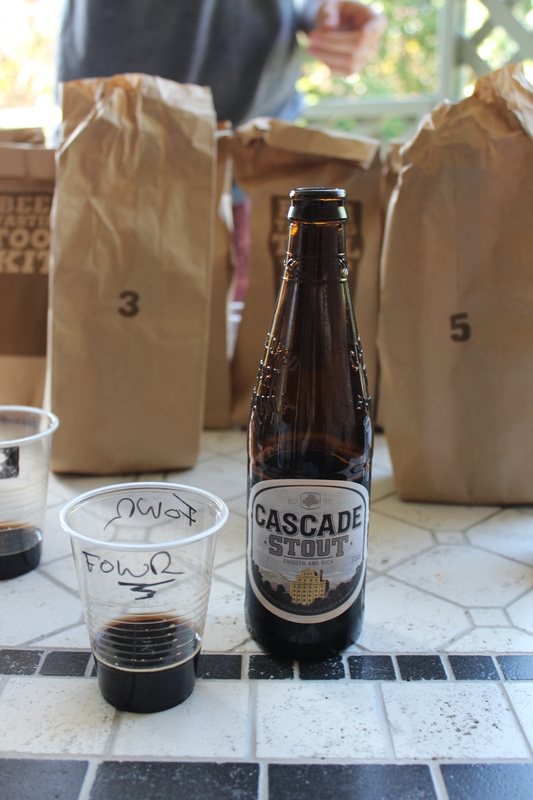 It seems the dark beers go only as far as porters, with Cascade being an oddity. I’ve also noticed a considerable lack of knowledge on my part. I felt that the amount of stouts I drink would warrant a better understanding, but when it came down to it, I probably couldn’t pick one from the other. Differing hop’s and levels of dark and/or chocolate malts give a change in flavour that’s too subtle for my amateur palette to really pick up. Blind Leadng the Blind is running the one I’ve been looking forward to the most: IPAs! Tune in next time while we fumble our way through.